Ryker&apos;s head throbbed like the sub-bass frequencies in the dubstep music his roommate played at all hours of the day back during his stint at MIT. Just like then, his brain refused to shut off. He should be focusing on UMA, who sat with infinite patience on her charging station in front of him. Instead, UMA&apos;s glassy brown eyes reminded him of the person he most wanted to forget now. Emmie. He had known better than to get attached to a woman, and in such a short amount of time, too. Yet he had gone and done it anyways, thinking that she was somehow different than Carin and from the number of other less notable women who&apos;d clearly been in it for his money. He had let those curves of hers lure him in. But no, it was more than that. It was her determination, it was the fact that she believed in her own self-worth and wasn&apos;t willing to compromise that worth for anyone, including him. That was what had really drawn him to her. She didn&apos;t need him, she wanted him. Well, wanted his body anyways. Ryker shuddered. So this is what it felt like to be used for one&apos;s body and then discarded. He couldn&apos;t tell yet if it was better than being used for one&apos;s money. Maybe there was no difference. Being used was being used, plain and simple. He could have sworn that she&apos;d wanted more from him, at least towards the end of their... relationship. Their unspoken bond had felt mutual, even though they both fought against it to varying degrees. He&apos;d just assumed it would take her more time to come around. He would have waited. He would have been patient, giving her whatever she wanted even if what she wanted was distance. In the end, he was just flat out wrong about all of it. His assumptions couldn&apos;t have been further from reality. Taking a tissue, he carefully wiped a bit of grease off UMA&apos;s cheek. It wouldn&apos;t do to have her appear anything less than pristine during her meeting with investors tomorrow. Making up for some of the lost time he&apos;d spent with Emmie instead of at MechaJames, Ryker had chosen to work late into the night, saying good night to Dan and the rest of UMA&apos;s team and remaining when no one else besides night security was left in the building. 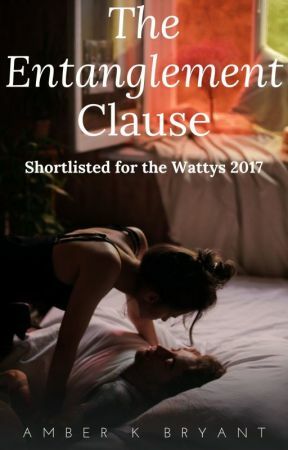 He would work until the sound of Emmie&apos;s gentle laugh was erased from his mind, until the curve of her hip as he ran his hand over it no longer made his fingers subconsciously twitch in anticipation. No. If he was to forget about her, this was where his head needed to be – with his projects, with MechaJames, with UMA. It wasn&apos;t that easy, though. If only his mind had an on and off switch the way UMA did. He shook his head and sighed. UMA picked up on this. "Dr. James, do you need me to get you something?" She leaned her head to the side ever so slightly to indicate that she was listening. "How about a memory wipe that can make me forget the past month. Can you do that?" UMA straightened her head. "Memory loss is a common effect of aging. You need not let that bring you down. Focus on the things that bring you joy. Do you like candy bars? I love candy bars!" Candy bars? That was unexpected. "Dan&apos;s been messing with your likes and dislikes indexing again." "Mr. Park thinks an addiction to sugar will make me seem like a regular human." "He&apos;s probably right about that." Ryker picked up a pen and tapped it absentmindedly against the desk next to UMA." UMA tilted her head again. "What is wrong, Doctor? You can tell me. I&apos;m an excellent listener." Despite his gloom, Ryker couldn&apos;t help but be impressed. The head tilt, the way her lips pulled down to show concern, the softening of her voice to mimic compassion, her increasing use of contractions to make her speech patterns more natural – it all really was exemplary. He had done this. He&apos;d had help, of course; never would he dismiss the significance of that help or undervalue his team&apos;s contributions. But in the end, UMA and all her predecessors were his creations, his babies. UMA had only a few more hurdles to jump over before she could start making a real impact in people&apos;s lives. This is what he had to focus on. This was the legacy he wanted to leave behind. Assistant, personalized technology that would better the lives of humanity&apos;s most fragile members. Even if his love life never lifted beyond the shambles it was currently in, he would have this. "You know what, UMA? I was a little down. Okay, maybe a lot down. But I&apos;ll be fine. I appreciate you being willing to listen." She lifted her head back up and then nodded. "Of course, Dr. James. That&apos;s what I&apos;m here for." "That you are." He began to retreat out of the lab. "Get yourself fully charged, UMA. Tomorrow is go day!" Alone again in MechaJames&apos; empty corridor, Ryker&apos;s newfound motivation took a swift nosedive. It was one thing to leave behind a legacy. It was another to build that legacy upon one&apos;s own personal shortcomings. It didn&apos;t seem fair that he couldn&apos;t have both a successful company and a meaningful relationship. At least you have one of the two, he told himself. Making his way back to his office and the couch that awaited him there, he did his best to convince himself that if he could only have one, he had the one that he wanted most. He was sure even UMA would be able to catch him on that lie if he said it out loud to her. A/N: I included another Sophia the Robot video that WILL NOT FREAK YOU OUT AT ALL! This robot has deeper thoughts than UMA, however, I think she&apos;s being scripted, whereas our UMA is 100% authentic! But, her facial expressions are spot on to what I envision UMA having. What do you think: does UMA have Sophia beat? Personally, UMA scares me a lot less. Thank you for joining me for today&apos;s update. You know how much you mean to me, wonderful readers! Your votes today go towards preparing UMA to fight Sophia on behalf of humanity in the coming robot apocalypse. I think you&apos;ll agree with me that Sophia cannot be allowed to win! Today&apos;s dedication is for the last reader to give actress recommendations for the role of Emmie. Thanks blisfvlll for all of your suggestions!